This article was first published in EL DIARIO DE CIUDAD JUÁREZ on 14 April 2005. It has been translated without permission for the Mexican Journalism Translation Project. The late Salvador Urbina Quiroz – affectionately known as Chava Urbina – worked as a celebrated and widely respected criminal defense lawyer in Ciudad Juárez. The city’s prosecutor says that his life had been threatened on at least two occasions. Two gunmen murdered him and Cesar Cordero, a lawyer and juez de barandilla (magistrate of the peace) in his office on 26 May 2014 at 1720 on that Monday afternoon. A sometime contributor to various news outlets, especially to the city’s foremost newspaper El Diario de Juárez, Urbina Quiroz wrote the following, prescient column – posthumously translated into English by the MxJTP – on the occasion of the murder of his colleague, Victor Villar Chavarría, in April 2005. To my dear Ciudad Juárez, and to officials in the three levels of government charged with the difficult task of guarding our security, that of our family, friends, and our community, this current occasion proves difficult. So, with tears in my eyes, yours truly tells you this story from my home, inflamed by the tragedy of the craven murder of my colleague and friend, Lic. Victor Villar Chavarría. Víctor was fulfilling his duty when he was executed for gain in a premeditated and treacherous manner. The cowardly murderer shot him to death outside his office, a place where he had worked as a litigating lawyer and a harbinger of the law in this border town for several years until he had the audacity to take on public service work in the State Government as Chief Liquor Inspector. Together with Araceli Mercado, he promised to put the screws on the nightclubs, many of whose owners had turned our city into a huge cantina, operating them as pimping holes, brothels, and dens for drug dealing. This administration tried to put a stop to such excesses: the long opening hours, and the protection of powerful, dark interests of the tsars monopolising these businesses. As proof, in the last four months the administration closed and shuttered more nightclubs than in previous years. Now there is no tolerance for violating alcohol laws and legal procedures that regulate those controversial and disorderly businesses. But, as always, even in our mourning, while Villar’s family grieves, some gutter journalist has dared to suggest that Víctor was involved in “something.” So, without informing themselves, or even with due regard to professional ethics, reporters raise groundless questions that cause irreparable harm, worsen the tragedy for the man’s family, permit public officials to discredit the victim, and which justify those officials’ inability to identify those responsible for this cowardly crime. One thing is certain: while they continue to create more police bodies, more super-prosecutors and super-police forces, these multiplications just add to the rivalry between agencies. Such competition only increases the value of seeking acclaim through photo opportunities: prosecuting and imparting justice continue to fail. The worst thing is that, while unable to discharge the functions each body or agency has, they try to amass more powers, and under the pretext that they can’t act in such and such a circumstance. That’s what has happened with municipal police forces: they are looking for powers to investigate drug smuggling even though we all know that, instead of discharging their official duty of prevention, many protect those places where drugs are sold by the dose. Now that people are asking for the Mexican Army to add guard duties to its tasks in this city and in the state of Chihuahua, what the local authorities are revealing is their inability to confront wrongdoers. Local authorities have failed in their duty to provide public safety to our community – preventing crimes and, prosecuting them when they occur and delivering justice. Local authorities have not been able to complete investigations. The monopoly of the power to punish that falls to these institutions – lacking, deficient, and corrupt – adds to the ineffective work of judges and magistrates, and amounts to just one thing: IMPUNITY. While our authorities fail to fight impunity by coordinating themselves, organized crime knows that its members won´t be punished or prosecuted. So, members of either common or specialized organized crime find ongoing motivation for continuing to commit crime. Meanwhile, as citizens we fail to do what we should: request results from our officials or demand their immediate resignation. As I said at the outset, my heart is heavy. But I have the insides, the courage, and the feelings of somebody from Juárez. I share in the grief of the family of Victor Villar Chavarría, including that of the daughter of my beloved friend. The late Salvador Urbina Quiroz (52), a widely celebrated criminal lawyer with three decades of experience, practiced in Juárez up until his violent murder on Monday 26 May 2014. The original article – published on 14 April 2005 as “Con el corazón en la mano… pero,” is not available publicly on the web. This article was first published in El Diario de Juárez on 20 January 2014. It has been translated without permission for the Mexican Journalism Translation Project (MxJTP). This translation is dedicated to the memories of Mexican photojournalists Guillermo Luna Varela, Gabriel Hugé Córdova, and former photojournalist Estebán Rodríguez Rodríguez, and media worker Ana Irasema Becerra Jiménez who were brutally murdered together in Boca del Rio-Veracruz on World Press Freedom Day 3 May 2012. The State of Veracruz is possibly the most dangerous place in the Americas to practice journalism. Although he is registered with the Federal Interior Ministry (SEGOB) as a religious minister, pastor José Luis Aguilar Cuellar is currently one of the PAN’s leaders in Juárez’s city council. The holding of public or political offices by religious leaders is prohibited under Mexico’s Constitution, under the principle of Church-State separation. Information from the Interior Ministry’s Director General of Religious Groups shows that Aguilar Cuéllar is registered as a religious minister and representative, or as the legal representative of a group called Rescue Mission de Mexico, located in Ciudad Juárez and registered under code SGAR/2285/97. Those facts appear in the directory of religious ministers and religious groups, and may be found via the Internet at: www.asociacionesreligiosas.gob.mx. When questioned about these facts, the councilmember asserts that he has neither asked for nor signed any documentation to confirm his status as a religious minister, although he concedes that he comes from a religious background and maintains a religious affiliation. That is why he helped form Rescue Missions, which is also established as a civil society organization. “Yes, I helped establish this religious group. But I have not signed an application establishing that I am a religious minister. That’s the appropriate question, and that’s the appropriate answer,” he declares. The councilman argues that if he had been registered as a religious minister he could not have run as a PAN candidate for city council on the ticket headed by María Antonieta Pérez Reyes during last year’s local elections. And the State Electoral Institute (IEE) could not have confirmed him during and after the elections, when he was confirmed as councilmember via proportional representation. However, the PAN and the IEE assert that the councilman did not report his religious occupation and was unaware that he was officially registered by the Interior Ministry (SEGOB) as a religious minister. The city’s Mayor, Enrique Serrano Escobar, also says that he was unaware of this matter and even showed his annoyance and surprise. He commented that he had not received any information about this case, nor had he analyzed it. “This is an odd case. I haven’t thought about it. But it’s something that I did not do. Nor did I propose his candidacy. I did not choose him, but there he is,” he says. After the Mayor personally checks the information on his own computer, he does not govern alone and that he does not have the power to place the council member on leave. Instead, the councilman and the party that backed him must resolve this situation according to the law. Article 130 of Mexico’s Constitution establishes that unless a religious minister resigns from their position, they cannot hold public office or hold elected positions. Article 14 of the Religious Groups and Public Worship Law indicates that while Mexican citizens who are religious ministers do have the right to vote, they cannot stand in elections for public office, nor can they undertake higher public duties, “unless they have formally, materially, and definitively resigned their ministry five years before election.” For higher public duties the time limit is three years, and for other public functions six months is sufficient. However, up until now José Luis Aguilar Cuéllar has not distanced himself from his ministry, a role that has been fully documented by witnesses and using newspaper archives. The pastor currently presides over the Rey de Gloria evangelical church, located in the Granjas San Rafael neighborhood, at kilometer 33 on the Casas Grandes highway. At his church he has developed a large social project focused on helping children and families. Councilman Aguilar Cuéllar in fact participated in last Sunday morning’s religious service at the Rey de Gloria evangelical church. He took to the pulpit and directed the assistants. El Diario documented these activities. In this marginalized neighborhood, residents identify the pastor with his good works over several years. His wife, Alma Guerrero, leads religious services on Wednesdays and Sundays, as well as holding conferences and Bible study. The pastor is also identified as the director of this neighborhood’s social center. For the past 14 years he has directed the Centro Familiar Ayuda civil society organization, a shelter for youth and also participates in a children’s center based at the some location. Newspaper archives show that from 2000 to 2011 Aguilar Cuéllar identified himself as a minister. 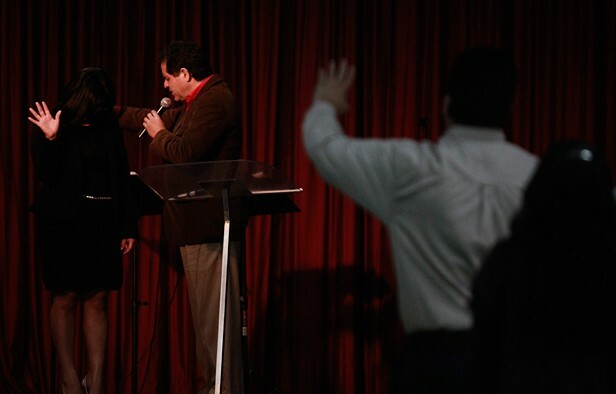 As President of the Evangelical Pastoral Alliance in Ciudad Juárez, he signed an open letter on 9 June 2009 addressed to then Governor José Reyes Baeza Terrazas. Even with a lengthy social and religious trajectory, José Luis Aguilar asserts that he finds strange – and disavows – his formal inscription as a religious minister in the Interior Ministry’s registry. He queries his registration because apparently it is not up to date and he has never been provided with evidence of his registration, such that it is. “I won’t say how it was. I participated in a civil association with its own constitution and in that religious association the minister is Lupita Varela de Páez, followed by José Ramón. I buried José Ramón about eight years ago because he died. So I think it could be that the Interior Ministry’s registry is not up to date. But I am not also going to say that the Interior Ministry is not doing a good job -although Talamás Camandari also appears on the list and he was the late Catholic bishop,” Aguilar Cuéllar explains. José Luis Aguilar appears with six other people appear in the Interior Ministry’s registry for Rescue Missions de Mexico: these include Guadalupe Varela de Páez and José Ramón Macías Majalca. But in a keyword search of the religious groups’ directory, José Luis also appears in the same grouping as a representative or legal agent alongside Aurelio Páez Varela and Guadalupe Varela Uribe. And, as the councilman indicated for the case of Monsignor Manuel Talamás Camandari, his name still appears in the list of religious ministers under the diocese of Ciudad Juárez. Camandari died in May 2005. The deputy director of Attention to Religious Groups for the Interior Ministry, Arturo Aguilar Aguilar reported by telephone that the registry “takes time to update.” In José Luis’s specific case he said that they would undertake a special review since the minister asserts that he has never registered himself. Article 12 of the Religious Groups and Public Worship Law stipulates that religious ministers are “all those people over the age of majority whose religious group confers such status,” and that they should notify the Interior Ministry. The regulations associated with this law mention that to recognize a person as a religious minister requires specification of their nationality and age, as well as attaching an official copy of a document specifying their position within the group. It adds that only the interested party can certify the ministers of the religious institution. According to Jesús Antonio Camarillo, doctor in Law and political analyst, the Interior Ministry’s registry clearly demonstrates a conflict of interest and that José Luis Aguilar should not discharge his functions as an elected member of the council. “The law is very clear: if there is convincing evidence that he is a religious ministers in his own association, he cannot hold elected office,” Camarillo says. Since his registration as a PAN candidate for city council in March 2013, José Luis Aguilar Cuéllar was questioned about his role as a religious minister. Since then he has asserted that his wife was the minister and he was only a social worker, a fact that does not legally prevent him competing for public office. 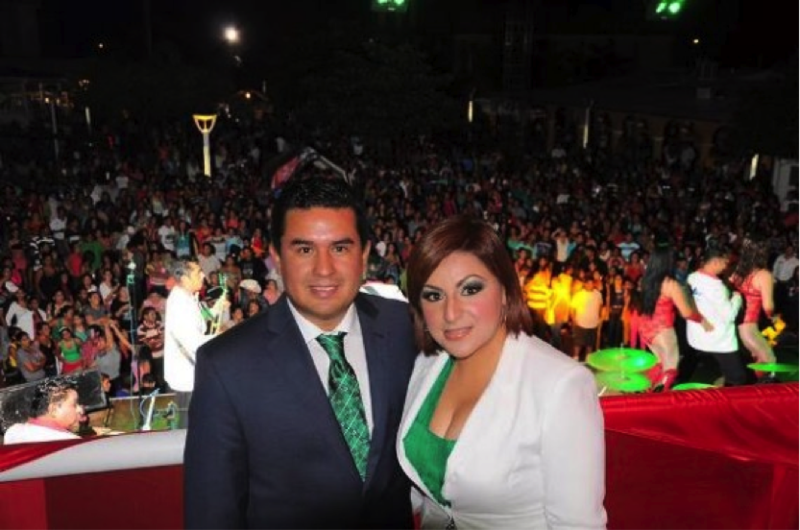 María Antonieta Pérez Reyes, a contender for mayor of Ciudad Juárez during last year’s election, said the same thing: she asserts that nothing impeded Aguilar from being on her ticket. He was not registered as a religious minister and he was chosen fro his community work. 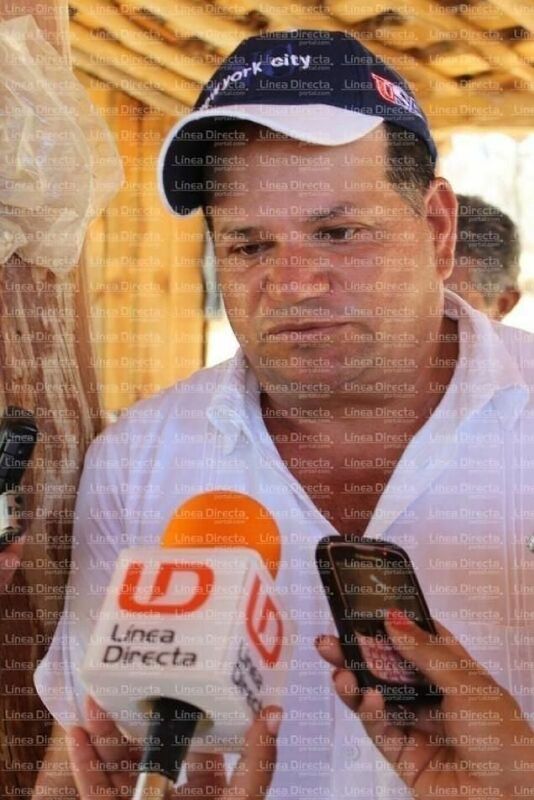 Hiram Contreras Herrera, the PAN’s local leader, conceded that they did not check if he was or was not registered as a religious minister because it is not a procedure regularly undertaken in the selection of candidates. In José Luis’s case, they favored him for his lengthy trajectory of social work. “José Luis is a man well known for his social work, so we never focused on that. We did not know that he was a practitioner, actively working as a pastor,” he comments. So after winning the party’s primary, José Luis registered with the electoral authorities but he also overlooked his religious affiliation. The State Electoral Institute’s spokesperson, Enrique Rodríguez Vázquez also mentions that they did not check the background or religious occupation of any of the candidates, including Aguilar Cuéllar. “We only check their age, that their voter registration is current, and their place of residence. The rest remains to be investigated by petition, not as a matter of course. In this example, nobody challenged his candidacy,” he adds. However, he mentions if there is evidence of this situation, the councilman must withdraw from his post and a stand in must take over which, in this case, is Daniel Ajuech Chihuahua. The councilman dismisses whether he will request leave from his post. But he asserts that he will ask his legal counsel to investigate his situation with the Interior Ministry to confirm his legal status. He repeats that he has never requested registrations as a religious minister. — When he is asked: Are you, or are you not, a religious minister? — I am not registered as a religious minister because I have never personally requested that I should be identified as such. — In practice, have you ever been a religious minister? Journalist Gabriela Minjáres is a staff reporter for El Diario de Juárez. This article first appeared under the title, “Regidor panista aquí es ministro de culto,” available at: http://diario.mx/Local/2014-01-20_634668a3/regidor-panista-aqui-es-ministro-de-culto/. This article was first published in El Diario de Juárez on 11 October 2011. It has been translated without permission for the Mexican Journalism Translation Project (MxJTP). There is no web accessible version of this article. Even though his classes begin at 0800, David Valles, 19, and a resident of Colonia Monumental, has to get up before 0600 so that he can take the Indiobús at 0640 from the Zona Centro. 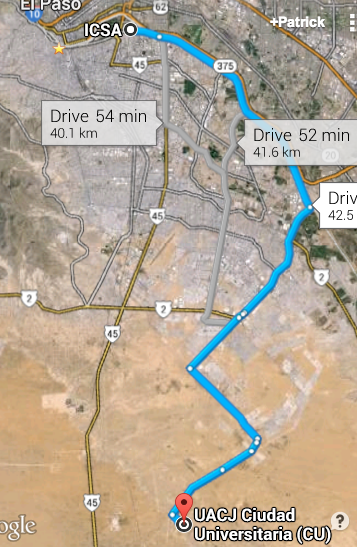 From there it takes him more than an hour to arrive at the Autonomous University of Ciudad Juárez’s (UACJ) new southeast campus, 16kms from the southern limits of the border city. According to UACJ administrators, the distance these students have to travel to the Ciudad Universitaria is a cost. But it’s also the only way the institution has to increase participation, minimize its educational shortfall, and increase enrolment rates from 28 to 55 percent of applicants. For urban development experts, however, the UACJ’s location in that zone, bordering on private lands, is more a product of obeying the expansionist whims of politicians and realtors bent on Ciudad Juárez’s urban growth. “The logic of expansionism and growth towards that zone explain its location in that zone. Its construction fails to consider costs related to infrastructure, equipment, commuting and security. The city cannot satisfy those needs,” said Pedro Cital, architect, private consultant in urban development and former deputy director of the city’s research and planning institution (IMIP). According to Cital, one example of Knowledge City’s real-estate value is the stretch of highway to the new campus. Instead of building a 5km link to the existing Panamerican Highway, they built a new highway to the southeast, right beside land owned by private real estate developers. “To build in this area, yes I think other interests were taken into consideration. The closest freeway connection for the University would be the Panamerican Highway, and the most logical route would be to open a street from there to the UACJ’s land. But that’s not what they did. Instead, they built a road from the southeast towards the university. So, it was built to power growth, bringing services and infrastructure that would make that area more viable for development,” Cital explains. For years he has questioned the expansionist model epitomized by Juárez’s development. The new campus houses 2,500 UACJ students and 550 students from the Technological Institute of Ciudad Juárez (ITCJ). According to José Antonio Lozoya, general coordinator of the UACJ’s new campus, the students must commute a total of sixteen kilometers to reach the campus. Desert dominates that region’s landscape, where the opening of the Electrolux plant in 2005 accelerated urbanization. It’s interspersed by industrial parks, separated by deserted lots that, in the majority, remain empty and vandalized. Around Fundadores Boulevard, almost total desolation exists, save for a few almost entirely vacant housing complexes. The UACJ and the ITCJ provide free transport to students from various parts of the city. But Abigail García, IMIP’s planning coordinator, said that commuting times must be avoided, and should have been taken into consideration in the urban planning process. “The students are the ones paying the price – because of the distance. We are trying to generate less commuting, so the people don’t spend so much time traveling. Look, they are young people, so they have to bear it. But it’s a high price to pay, and they have to be there all the day, in a place where there’s only the university,” García said. Manuel Loera de la Rosa, director of Planning and Institutional Development at the UACJ said that the three hundred hectares owned by the University is just the first phase of the Ciudad Universitaria (CU) and that it was the only option to house an ambitious project to boost the enrollment numbers that Juárez requires. He added that no other place turned out to be as cheap as that area, donated to the UACJ in 2001 by Chihuahua’s state government. “Universities always have costs to bear. At the CU the great benefit is being able to offer education spaces in a timely fashion, opportunities that would not have emerged any other way,” Loera insisted in an interview. UACJ’s location — as well as that of the ITCJ and other educational institutions in Knowledge City – is part of the San Isidro-Zaragoza development plan, totaling about 4,367 hectares. Promoted by the state government, the plan was approved by the Ciudad Juárez Council in 2007, during the first period in office of Mayor Héctor Murguía. That year, 2007, also saw approval of the Eastern Development Plan (PPO XXI-II), broadening the city’s population distribution. The PPO XXI-II permitted urbanization and construction of residential areas seventeen kilometers from what were then the city’s limits. These two development plans added to another three plans that had been approved since 2004: El Barreal and San Jerónimo in Juárez’s northwest, bordering New Mexico; and, the first stage of East XXI, in the southeast. In total, and in just two years, the five plans added more than 14,600 hectares for possible urbanization, 66 percent more than the 22,123 hectares available in 2003. In every case the local government argued the need to provide housing for an estimated population rise of 100,000 people per year destined to work in the maquiladoras. With the passing of the years, however, and just as the town planner’s had prophesied, a 2001 recession in the maquiladora lowered the population. The IMIP warned at the time of no evidence for so many homes, many of which now stand vacant. The politics of Juárez’s expansion has been questioned by officials since 2003, when the Urban Development Master Plan established the need for greater density. The Master Plan says that the spread of the city has made it expensive and unsafe, and based on unsustainable resources for its infrastructure and equipment. This has generated problems for its identity and decayed its social structure. “The logic behind investment behaviour in our region sees urban space as disposable. When investment moves to new, more prosperous, lucrative business districts, urban areas are left totally abandoned. In this context, the capital that’s left is underutilized or just abandoned. And with its desertion, the city’s image loses vitality and deteriorates,” the Master Plan says. From the period between 2005 and 2007 when the majority of the development plans were approved, various sectors of the population warned that such expansion obeyed the interests of landowners with property ripe for, or close to, urbanization projects. As in San Jerónimo’s case, where the state and municipal governments have granted millions for investment in services, overwhelmingly in road construction. Since 2007, an El Diario investigation has documented that along with land from state government and from the UACJ, there are more than 1,000 hectares owned by families of two former mayors: Manuel Quevedo and Jaime Bermúdez. In 1977 Quevedo was mayor and Bermúdez the city’s treasurer and they acquired thousands of hectares in the city’s southeast. In the last thirty years, Juárez’s urbanization has been directed towards that region. According to César Mario Fuentes, a PhD in regional development and director of the Colegio de la Frontera (COLEF), the model used by the government to pay for public services like water, drainage, light and roads on far removed roads that result in “big business” for those types of landowners. “I am unaware if there’s that intention, but unfortunately it has always been this way. It’s obvious that it has been a strategy traditionally employed by Ciudad Juárez’s large landowners who take advantage of public authority,” Fuentes said in 2007. The COLEF director is also the author of numerous academic studies about the region’s land market. According to Loera, the first stage of the new UACJ campus required an inversion of 498 million pesos for the “basic infranstructure work” – drainage, light, water, roads – in addition to the construction and equipping of three buildings. The director of the city’s land registry, Antonio Artalejo, estimated this week that the investment would spark a real estate “boom” and the construction of housing, services, and industries. “If the 2008 economic crash had not happened, housing construction would be at its apogee about now,” Artalejo said. In spite of the economic downturn, about five residential communities have been constructed in the area – all completely distant from each other – and in the public property registry land transfers have already occurred. That is what entry 15 of book 5363 registers. In July 2011, the families of Quevedo and Bermúdez sold 37 hectares, located in the environs of Knowledge City – to a real estate company called HOH. “Opening different areas of the city has definitely had much to do with pressure from landowners,” Cital said. “It’s an obvious fact about the history of the city’s growth: one can identify the pressures that lead to growth,” the expert added. Yesterday, the former mayors mentioned in this article could not be reached for comment. The Ciudad Universitaria coordinator said that 70 percent of the students come from southeastern neighborhoods, and that only 750 students come from father afield, like the west of the city. But the distance is of such importance, Lozoya said, that upon it depends almost all the planning decisions, like class timetables and possible extra-curricular activities. To support the students, the UACJ has contracted three transport companies that will carry 90 percent of the students in 27 old vehicles from nine points around the city. The most distant point is the one located by the Juárez Monument. The ITCJ, on its behalf, will transfer the majority of students in four vehicles (of a more recent vintage). This service will only leave from Campus Uno, located on Avenida Tecnológico. Even though they are free services, the UACJ students who live in the west of the city must occasionally wait for more than an hour because the only bus that goes to the city center quickly fills. If they have to leave campus early they have to wait for hours because the buses from the CU leave at two times: at 1400 and 2000. So, students write: “When my mother told me I would go far, I didn’t know that she was referring to the CU.” Or, among other witticisms, “Typical: you are new in CU and when they ask you where you are from, you say: from Ciudad Juárez.” But the time spent in commuting, Abigail García says, is a human problem that, rather than being funny, diminishes the quality of personal and collective life. “Principally, it undermines rest, the time you need to recuperate and that as far as we know, it damages health. The other thing that gets shunted aside is family life. Commuting takes up much of the day… We complain to ourselves that there’s a need for social cohesion, that there’s no neighborly integration, and that certain factors rupture this spirit of living together, and commuting is one part of that subject,” García said. The need to find a place in Juárez at an institution of higher education is so great that not one of the students, even the most critical, expressed a desire to withdraw because of the distance. Daniel Valles, for example, said that he hopes to change campus since his degree program is offered in the Institute of Social Sciences and Administration, about ten minutes from his home. This article was first published in El Diario de Juárez on Tuesday 11 March 2014. It has been translated without permission for the Mexican Journalism Translation Project (MxJTP). Mexico’s Federal Attorney General has withdrawn charges against five men who were detained for involvement in the detonation of a car bomb in 2010 in Ciudad Juárez. Noé Fuentes Chavira, Rogelio Amaya Martínez, Víctor Manuel Martínez Rentería, Gustavo Martínez Rentería and Ricardo Fernández Lomelí were released last Friday after three and a half years in prison, according to attorney Diana Morales of the Centro de Derechos Humanos Paso del Norte. Morales added that the five proved positive under the Istanbul Protocol, a manual designed to determine if a person was subjected to torture or degrading treatment. Journalist reports establish that on being detained, they were accused of organized crime, crimes against health for marijuana possession, and of carrying arms for exclusive use by the Armed Forces. At the time, the Federal Ministry of Public Security (SSPF), headed by Genaro García Luna reported that Fuentes Chavira revealed that he had participated in the attack against the Federal Police on 15 July 2010 as an informer of La Línea. He was placed in preventive detention in the Federal Investigation Center while they investigated the evidence against him. Morales explained that the people detained on 11 August 2010 were accused of federal crimes but not terrorism. That is to say, not for detonating the car bomb on Avenida 16 de Septiembre that caused the death of Doctor José Guillermo Ortiz Collazo, Federal Agent Ismael Valverde Solares and civilian César Gabiño Aviña, along with injuring 11 other people, among them six Federal Police agents and a camera operator for television station Canal 5. A judge in Guadalajara ordered the five be restored to freedom after receiving indication that they no longer stood accused of criminal charges. “The Attorney General withdrew charges because we sat down to dialogue with them, letting them know that there were only two pieces of evidence against the accused: the confessions taken under torture and the words of the federal agents. When we applied the Protocol of Istanbul to these youths, one could see that their testimony was extracted under torture and yielded a document that demonstrated the officers were lying. They said the youths were detained on 12 August, but really the arrests occurred on 11 August. A document exists that proves this fact,” said the attorney. That proof is a notice issued by the Federal Police to the agency’s juridical arm in Mexico City, stating that five people were detained on 11 August. That date was changed in the record to an arrest date of 12 August, Morales explained. During that 24 hour period the five were subjected to torture. “They accused them of organize crime, guns, and drugs, but they couldn’t prove any relation to the car bomb,” confirmed Morales. The defense requested application of the Istanbul Protocol to prove torture, thereafter corroborated by the National Human Rights Commission (CNDH), which prompted the Attorney General to issue is recommendation number 75/2011. After that point, the attorney said that in a meeting Mexico’s current Attorney General, Jesús Murillo Karam promised to apply other tests under the Istanbul Protocol, and if at least one test came back positive then they would all go free. All five tested positive. “The Attorney General kept his word. He is saying that these people had nothing to do with organized crime, or with drugs, and the accusations were baseless. This means that there were no charges to pursue against them,” Morales confirmed. She added that the Attorney General arrived at these conclusions last Thursday, and the judge freed them on Friday. The same day the five left their respective prisons. The CDHPN spokesperson, Carlos Murillo, said that after being freed, the five met in Mexico City where they gave a press conference. Tomorrow, Wednesday, they will arrive in Juárez accompanied by their families. The human rights attorney added that the Federal Police also abused their right to due process because it took two and a half days to deliver them to the Federal Public Prosecutor. More than one year ago, the now-freed prisoners filed a complaint with the Federal Public Prosecutor documenting their torture. The CDHPN hopes that the federal agents who committed these crimes will be punished. “We expect them to punish those agents. The Attorney General seems to be acting in good faith. Not only did he recognize the abuse suffered by the youths for something they did not do, but he also has the will and the obligation. Torture is a crime and the Attorney General must continue his investigation,” he added. José Antonio Acosta Hernández, alias Carlos Martínez Pérez, “El Diego” or “El Uno” or “El 10” is also listed in the criminal complaint but he will not go to trial as he is imprisoned in the United States. Leticia Chavarría, member of the Security Committee, and friend of one of the victims who died in the explosion, said that it is important that five of the accused in this case have been freed. “There was insufficient proof to declare them guilty, and that is very serious,” she said. She added that if these people are innocent, and they were wrongly imprisoned, then the justice system is failing. “For us, the most important thing is to see justice served. If they are innocent, where are the people who are really responsible,” she asked. The CDHPN requested the Justice Department (PGR) continue its investigations so that those responsible for the crime of torture against the five wrongly accused can be punished. Also, the Federal Police should continue to comply with the CNDH’s recommendation 75/2012 and provide integral reparation to the victims. To guarantee non-repetition, the Mexican state must instruct its police forces and investigative units not to torture and mistreat detainees, as established by Mexico’s Constitution and the relevant international treaties. It must also eliminate preventive detention. At the instant that somebody alleges being victim to torture, they must immediately see the Public Prosecutor, with any confession then voided. The independent experts that apply the Protocol of Istanbul must be accepted and recognised. After the car bomb attack on 15 July 2010 – unprecedented for the border – the Federal Public Security Ministry released a communique indicating the attack was in reprisal for the arrest of Jesús Armando Acosta Guerrero, “El 35,” the leader of La Línea, a local criminal gang. “El 35” was a subordinate of Jose Antonio Acosta Hernández, “El Diego” who was second in command in La Línea and under the direct control of Juan Pablo Ledezma, “El JL,” a lieutenant of Vicente Carrillo Fuentes. The attack occurred when Federal Police agents arrived at the intersection of 16 de Septiembre and Bolivia in response to an attack on a municipal officer. First-aid responders also arrived on the scene, as did different media outlets. A doctor from a nearby surgery, José Guillermo Ortiz Collazo, was already on the scene attending to the supposedly injured municipal police officer. As they arrived at the location, federal officers reported that a vehicle had been tailing them for blocks, so they requested backup. At the scene, the three squad cars slewed as did a recent model green Ford Focus with license plate 853 SHF6. Two men suddenly stepped from the car, prompting the police officers to open fire. After the shots, there was an explosion. According to the report provided by sources within Chihuahua’s Coordinated Operation, a fragmentation grenade was activated intentionally to end the lives of the police officers. The explosion could be heard from kilometers away. Flames from the car bomb and the squad cars could be seen across the city. Windows of houses, car windshields, sidewalk concrete, and asphalt, as well as metal from the car bomb were strewn for meters around the blast site. •A car bomb exploded on 15 July 2010, at the intersection of 16 de Septiembre and Bolivia, Ciudad Juárez. The bombers used terrorist tactics. • Dead in the blast: Doctor José Guillermo Ortiz Collazo, Federal Agent Ismael Valverde Solares and civilian César Gabiño Aviña. • Six federal police officers and a television camera operator were injured in the blast. • U.S. anti-terrorist experts collaborated with Mexican authorities in the investigation. 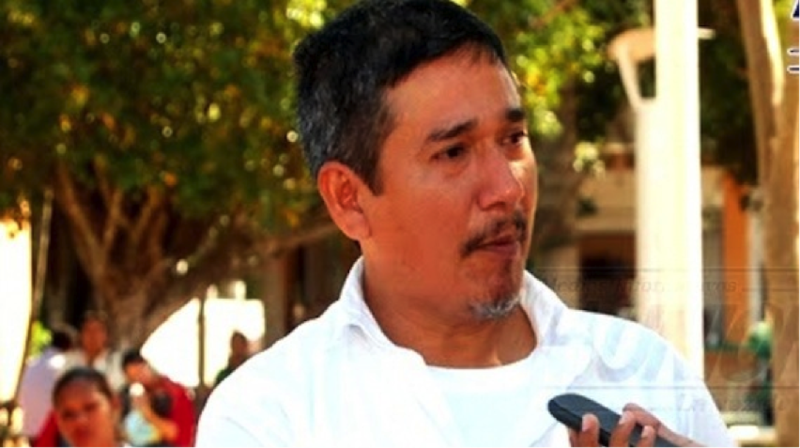 • According to the Federal Public Security Ministry, the attack was in reprisal for the arrest of the commander of La Línea, Jesús Armando Acosta Guerrero, a subordinate of “El Diego,” second in command of the group under the direct control of Juan Pablo Ledezma, “El JL”, lieutenant of Vicente Carrillo Fuentes. This article was reported in Spanish by Reporting Staff at the newspaper El Diario de Juárez, in Chihuahua, Mexico. El Diario is a daily newspaper known for hard-hitting coverage, and its journalists are always at risk. The article appeared under the title, “Libres, implicados en bombazo aquí,” available at: http://diario.mx/Local/2014-03-11_b971ab2c/libres-implicados-en-bombazo-aqui/. This Malayerba column was first published in RíoDoce on 9 March 2014. It has been translated without permission for the Mexican Journalism Translation Project (MxJTP). The teacher taught his classes with reluctance. Tired of the transactions with the secretary – of asking, going, and coming for two months back pay. Tired and bad-tempered. One of the townspeople knew that the teacher was in need and approached him: I will pay you four months of salary, but occasionally just let me loose with the kids. He looked at him a moment and his look instantly revealed all: he had poppies flowering, bulbs swollen. He needed to begin scoring them, collecting the harvest of opium sap. The teacher looked at him and then looked again. He didn’t blink: between the eyelashes, piercing, bloodshot eyes. And what with his need for money, overwhelmed by it all, he accepted. It wasn’t just a couple of days. It was the whole week. The children in the furrows: short, skinny, small-handed and still delicate, they were just what the red carpet of poppies, bulbs, and the sticky substance needed. Bulkier types, with clumsy hands, brusque movements, bigger people, they would have ruined the heavenly harvest that seemed swelled by profit, the sure sell. The teacher took advantage of the opportunity to take a breather. He took care of the school’s administrative business, since he was also its director, janitor, teacher and even the parent-student counsellor. He renewed his attempt to get paid, now without the pressure of empty pockets, his lips no longer tight around his mouth. The children arrived, put down their bags then went to work. Into small cylindrical containers, they collected the slow, dense fluid that came from buttons on the plant. One, two, three marks. Several trips to the same furrow: squeezing that natural toy with the care of a vascular surgeon, that beautiful part of the poppy, and cutting, cutting, cutting until it bled. The harvest ended and classes resumed. That man, in the three-peaked hat with the commanding voice, he let the little ones go and thanked the teacher. Whenever, he replied. The weekend came swiftly and the children asked if they could go to the nearest town, out on the junction with the state highway. Among the shops, restaurants, homemade bread stalls, pharmacies, convenience stores, and hardware stores they ran, looked, inquired, wanted: this thing, that, another. An older boy approached a man eating eggs with machaca, drinking coffee. Hey, mister, don’t you want to sell me something. Like what, asked the adult. Something, whatever. Intrigued, the man put down his fork and pushed his cup away. Let’s see, let’s see what’s up. What have you brought with you? The child put his hand in the right pocket of his pants. He pulled out a fist of notes: dollars and more dollars, jumping out, banded together, lively. What’s that about kid, he asked, taken a back. I just got out of work. He insisted: are you sure you don’t have a gun to sell me. Journalist Javier Valdez Cárdenas is the founding editor of RíoDoce, an online news outlet based in Culiacán, Sinaloa. He is the author of various books, including Con la Granada en la Boca (Aguilar, 2014). This column was first published under the title, “Jornaleros,” and is available at http://riodoce.mx/noticias/columnas/malayerba/jornaleros.